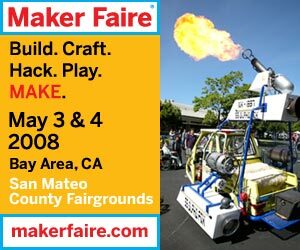 I’m going up to the bay area this weekend to attend Maker Faire. I went last year and I can’t recommend it highly enough. It was one of the best events I’ve ever been to. If you’re in the area, do your self a favor and check it out. If any of you are going to be at the faire and would like to meet up, just drop me an email, or comment on this post.